The Industrial Design department is no more! In an exciting reshuffle of the University’s portfolio, the Automotive, Transport, Product and Interior Design courses now fall under the School of Art & Design in the new Faculty of Arts and Humanities. We welcome our new colleagues from Architecture and Humanities! 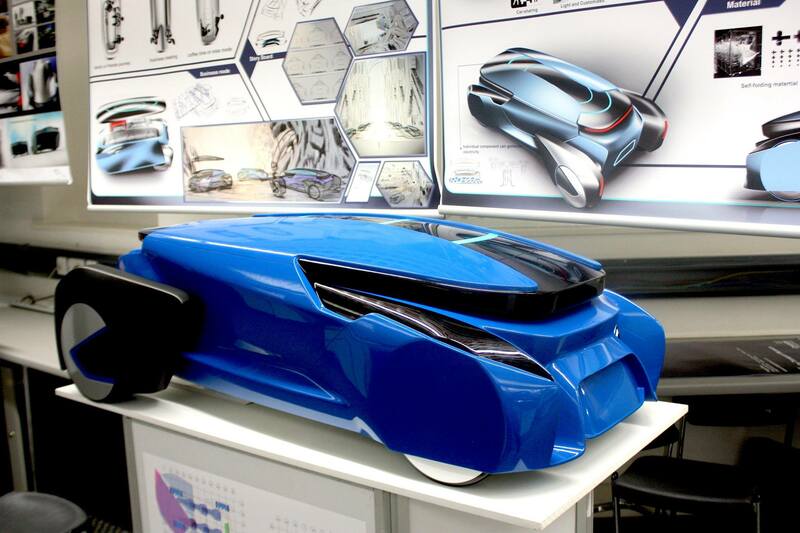 The 2015 MA Automotive Design & MA Vehicle Interiors Degree Show: Shift took place at the Coventry Transport Museum in December, showcasing self-initiated individual research projects and a display of the collaborative project with Jaguar Advanced Design. Here’s to an equally successful 2016!